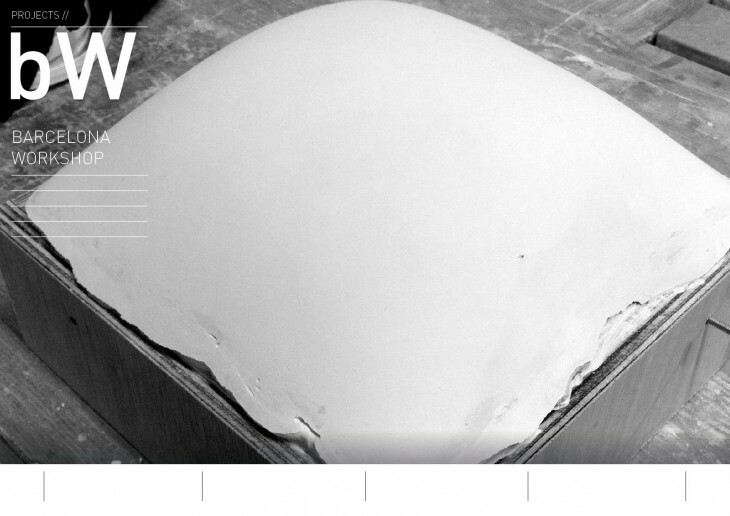 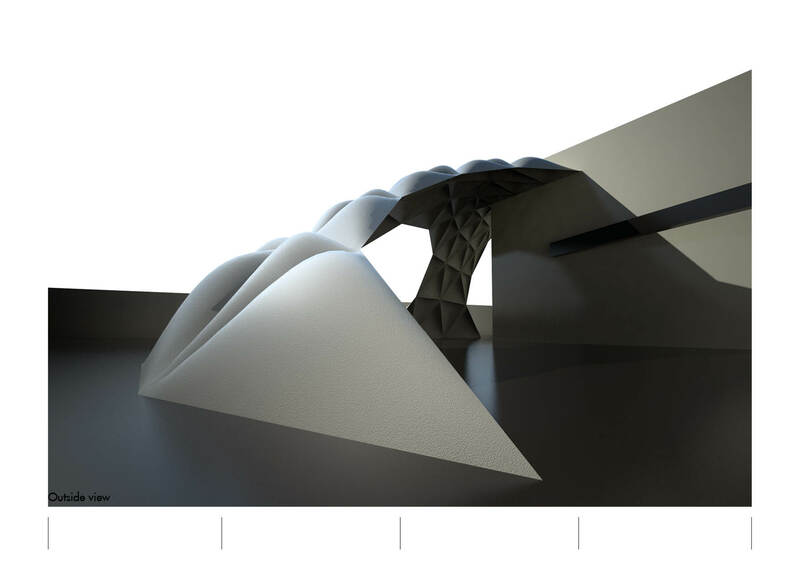 Gaudis – Puffy – Jacket is a thin-shell precast pavilion completed in collaboration with the faculty and students of the Institute for Advanced Architecture Catalonia in Barcelona. 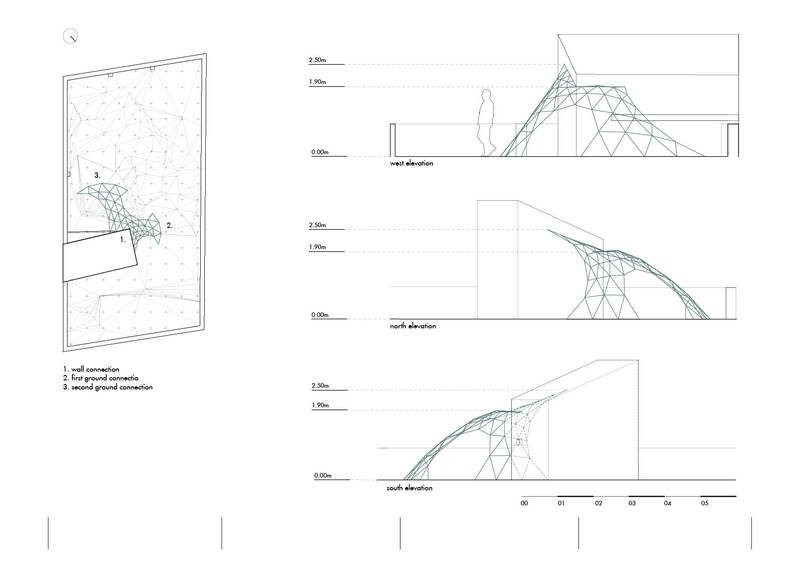 The pavilion is a playful tribute to the seminal research on form-finding conducted by Antonio Gaudi. 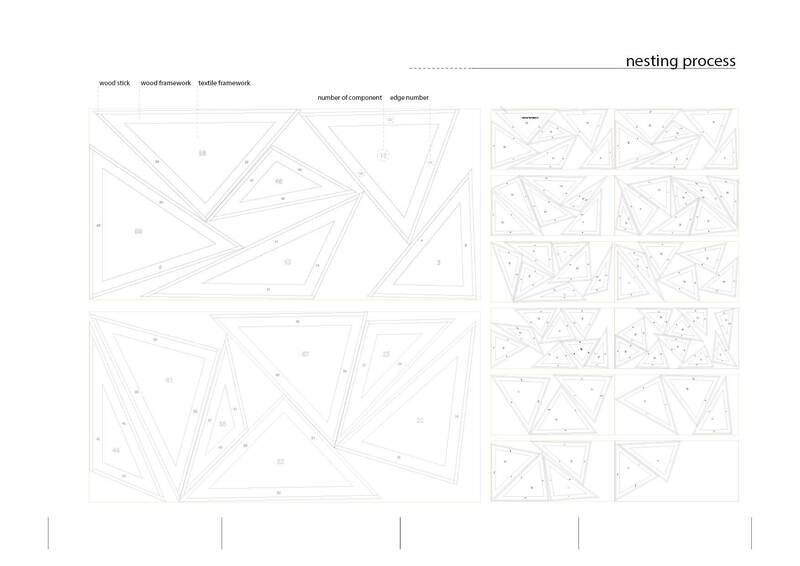 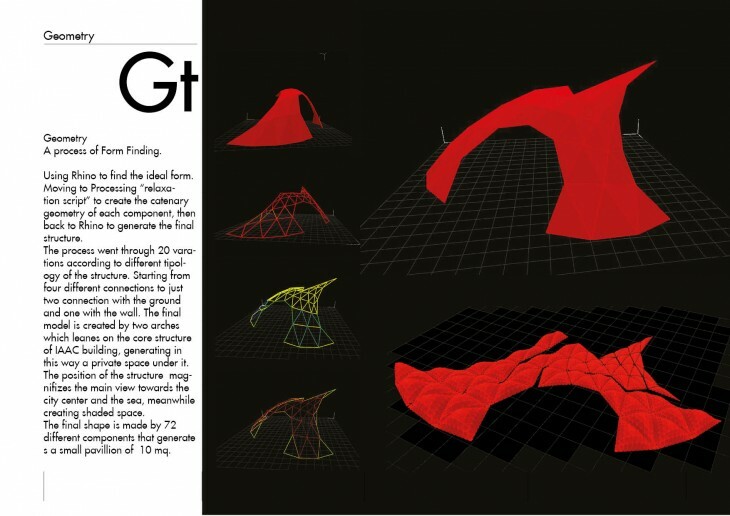 The 3-day intensive design and making workshop explored the spatial, structural, material and ornamental opportunities that exist at the overlap of algorithmic modes of drawing; specifically recursive routines of growth, tiling and subdivision couple to analogue- and digitally-enacted methods of computation. 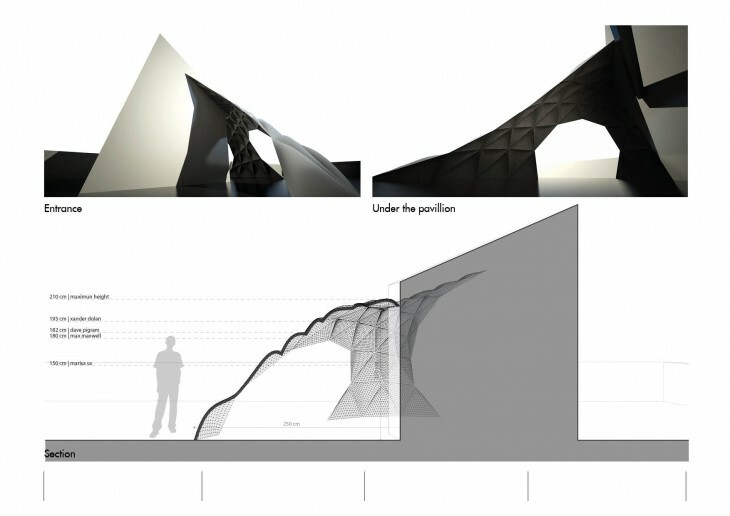 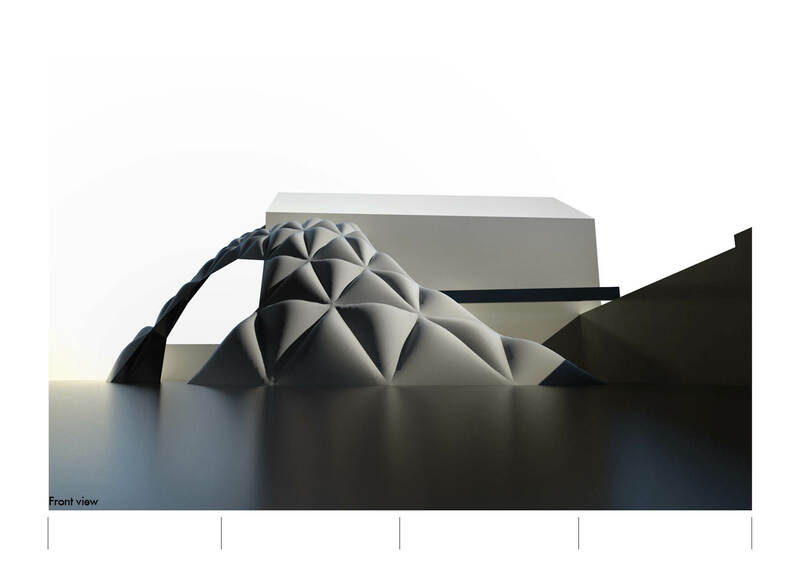 The project explores the historical trajectory of form-finding within architecture which affords a deeper understanding of architectural form and the processes that underlie it. 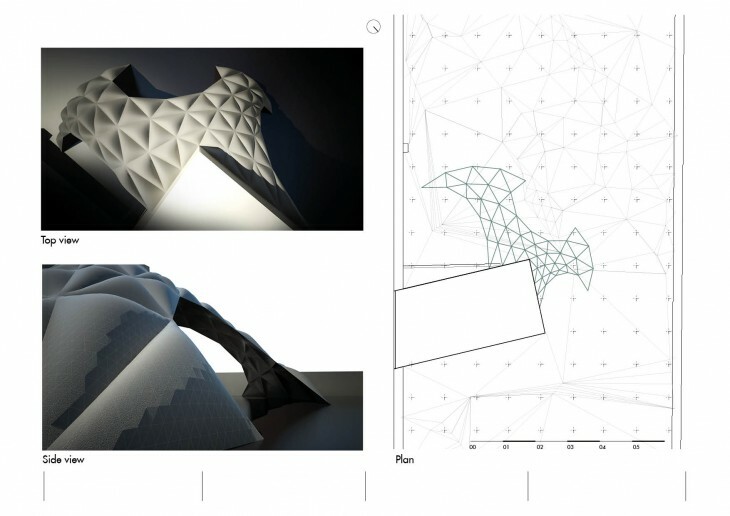 Similar to many traditional design techniques (cutting, carving, folding, weaving), form-finding techniques harness the positive limitations of a given media – material and force – to resolve formal characteristics in consistent ways. 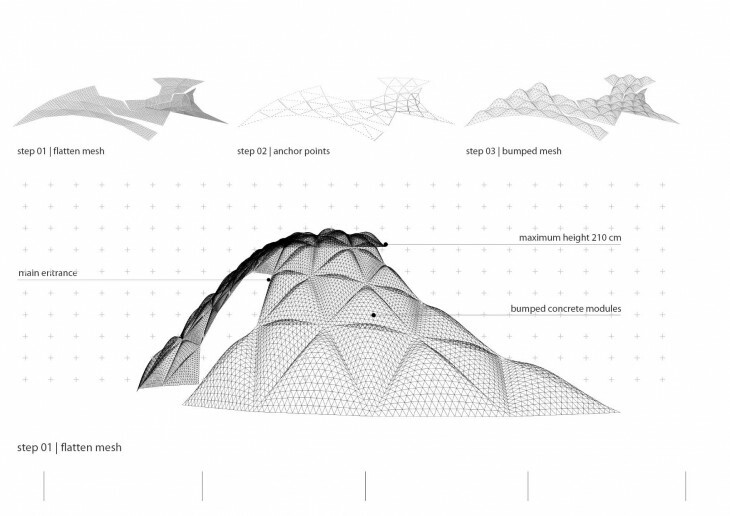 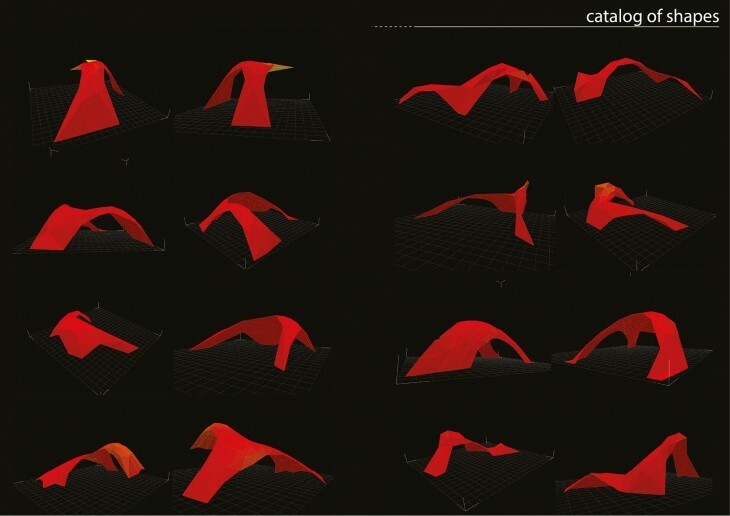 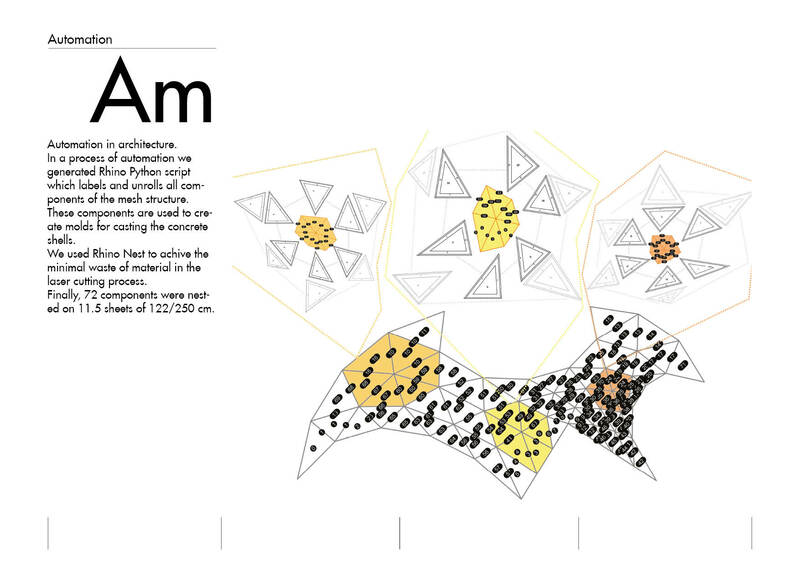 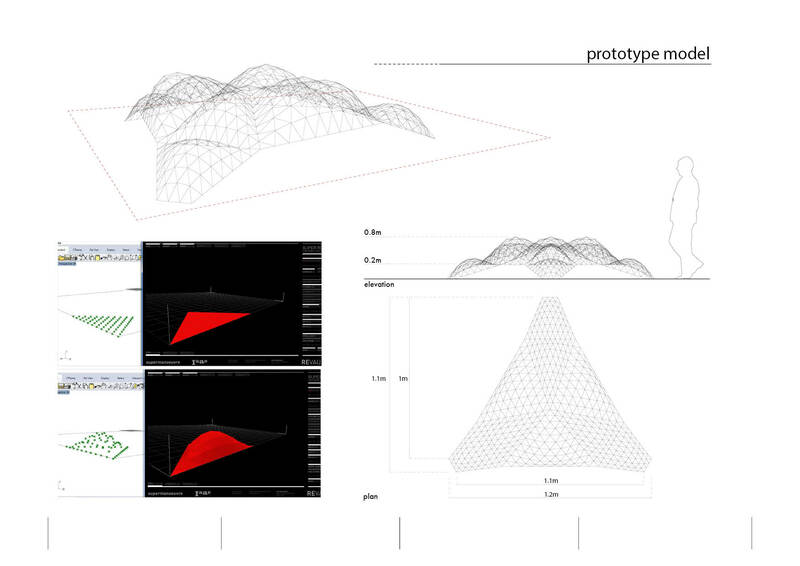 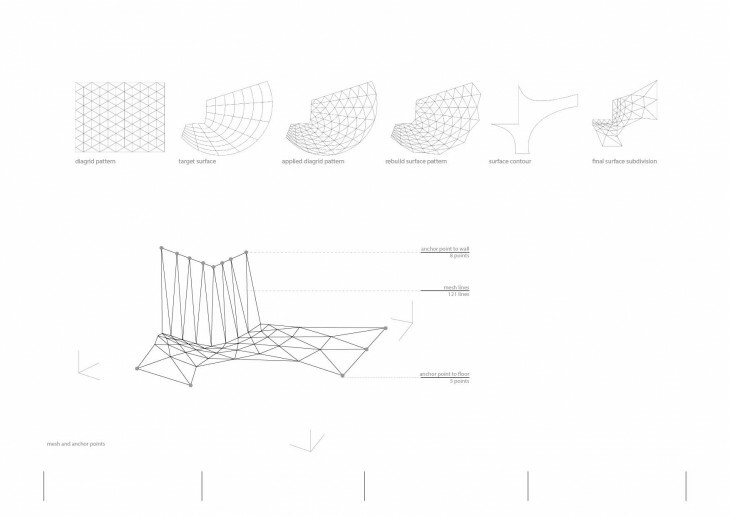 Unlike traditional methods however, form-finding processes embed a considerable level of material and structural intelligence within active design (read: modelling) processes. 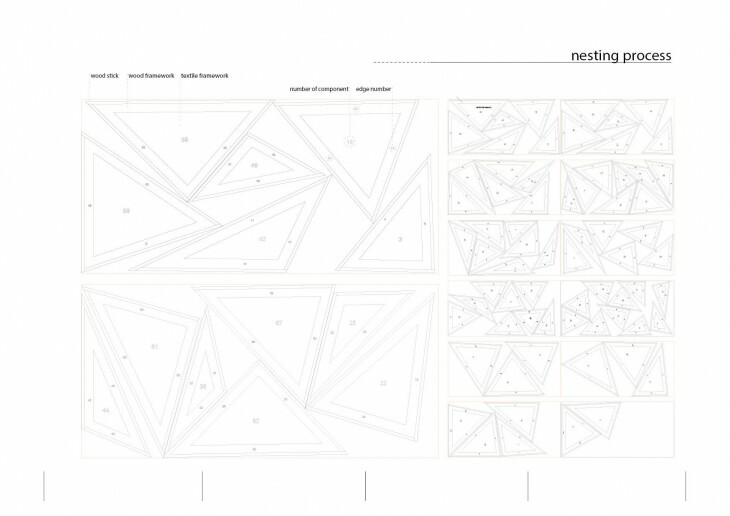 Thus establishing not only highly productive pathways between design and space-making but equally to the affiliated aspects of material performance, optimisation and build-ability.